Little Caesars Pizza®, founded in 1959, is the third-largest pizza chain in the United States. The Little Caesars headquarters is located in the Fox Theatre building in Downtown Detroit, Michigan. It operates franchises internationally, including Europe, Asia, the Middle East and Latin America. 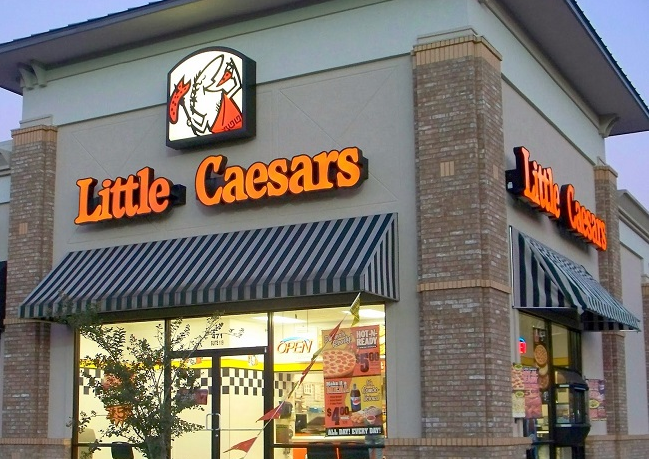 Innovation has given Little Caesars® its unique place in the pizza industry, even from day one. When they opened their doors in 1959, people thought a carry out restaurant without tables and chairs would fail, but Mike and Marian’s innovative idea paid off. Little Caesars® has a history of industry firsts: Mike pioneered the two-for-one pizza deal later known as Pizza!Pizza!®, and then created a conveyor oven specially designed to bake pizza quickly and consistently to keep up with customer demand. The chain built stores where pizza was never served before, such as in sports arenas, college dormitories, and military bases. Little Caesars® introduced Crazy Bread®, which became a standard accompaniment to pizza and was mimicked by other pizza chains. Little Caesars® also broke the status quo by making pizzas ready when customers walk in, with no need to call ahead or wait in line, with the launch of its HOT-N-READY® pizza offer. As quick serve restaurants around the nation feel the heat of rising supply costs and higher commodity prices, Little Caesars® continues to pioneer its way as the industry leader of value and convenience. At Little Caesars®, we’re focusing on what we do best: creating value by offering top quality pizza made with fresh ingredients for a great price. Recognized as the world’s largest carry-out pizza chain, franchisees are growing in both existing markets and new markets. This growth, coupled with fresh, quality products, outstanding value for customers and strong national brand recognition, positions Little Caesars® for continued and accelerated success. Today, Little Caesars® is the fastest-growing pizza chain in the world, and is looking to continue to expand across the United States and internationally.